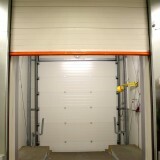 Vertical-Lifting Fitting Sectional Door (VL) for perpendicular-current doors. 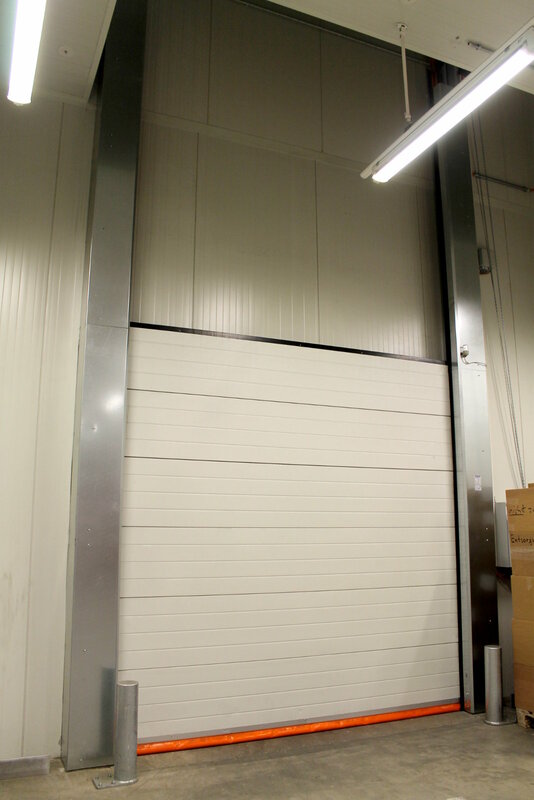 The Vertical-Lifting Fitting Sectional Door (VL) is used, if there is a large fall free space that the door can be perpendicularly opened. Due to the not necessary detour into the horizontal, this fitting is particularly low-maintenance and for an easy manual control suitably. 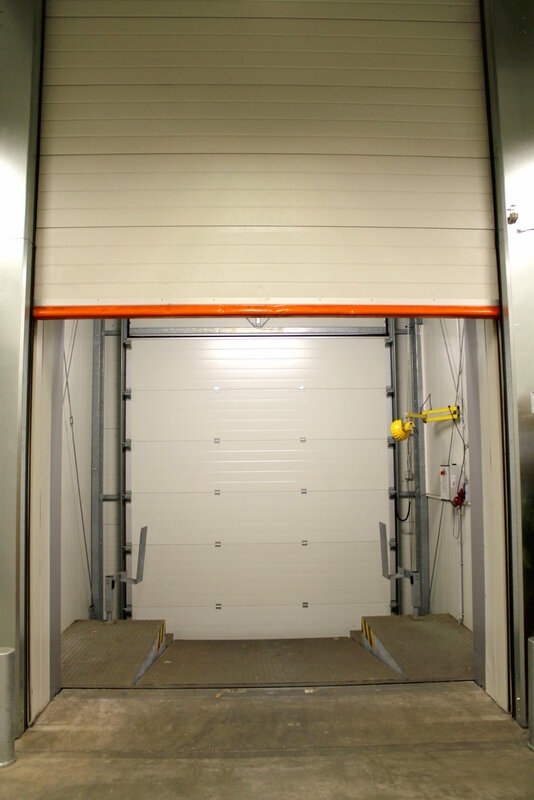 The door is suitable for an easy manual control. 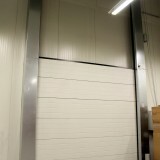 The torsion bars needed for balancing the door page are non-standard calculated and manufactured on most modern feather/spring machines. 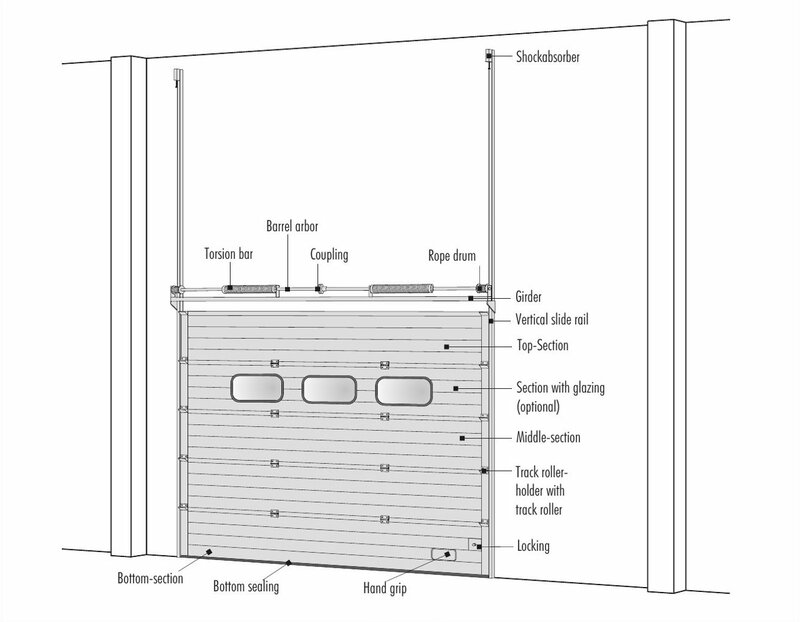 The sectional doors are manufactured non-standard for each door opening from formed aluminum or galvanized steel sheet. High-isolating FCKW free polyurethan-foam, which creates the chemical network between front and back sheet, makes the section doubly self-supporting. 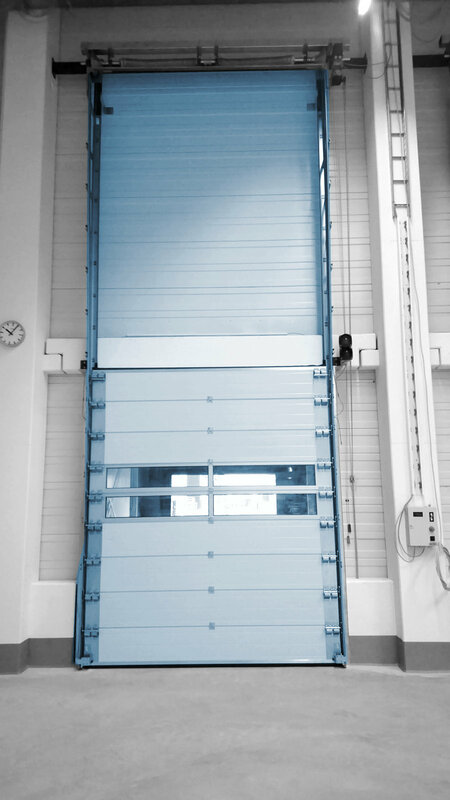 The number of window sections can be varied as required – also combination and placing can be determined individually.